Marybeth Jones and Bradley Pruitt met when they were children, after a mutual friend brought Brad to a function at Glade Hill Baptist Church. The two were not close throughout middle and high school, but after college and pharmacy school, the two were reunited at the same church thanks to the same friend. Not long after, Brad asked Marybeth for her number, and the two have been "inseparable" ever since. On the morning before the couple was to attend their friends' wedding, Brad said that he wanted to take Marybeth golfing before the festivities. On lucky hole number seven, Brad teed up the golf ball, and when Marybeth was about to tee off, she saw that the ball read, "Marry me?" 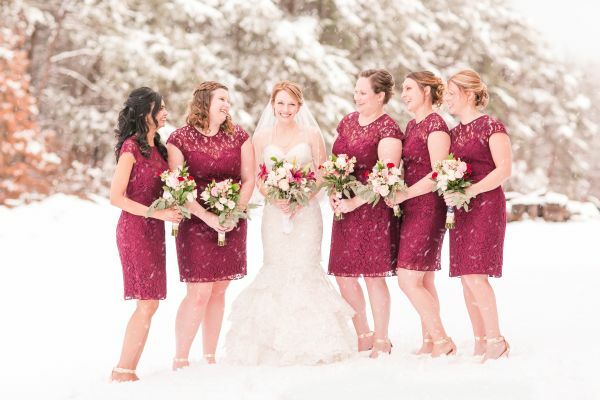 The couple did not expect for it to snow during their early-December wedding, but Mother Nature had a different idea. The snow made their special day all the more memorable. A tree-planting ceremony, locally-obtained decorations and centerpieces along with homemade salsa from the bride's family's garden allowed for the couple to create an occasion that celebrated not just their love, but the love that they share with those close to them. Marybeth and Brad's celebration was unique because of the sentiment behind nearly every detail of the wedding. The couple was married at the church where they met, and they chose Water's Edge Country Club as the venue for the reception because Marybeth had worked there throughout school. "It's just so comforting to be in a familiar place on your wedding day!" Marybeth says. Add in the bride's pearls from her maternal grandmother, a veil borrowed from her sister, a sixpence from Marybeth's aunt for her shoe and, of course, the unexpected snow, and the couple's day turned out to be memorable, meaningful and full of love from beginning to end. Make sure to see more of the Pruitt wedding on page 72 of bridebook! 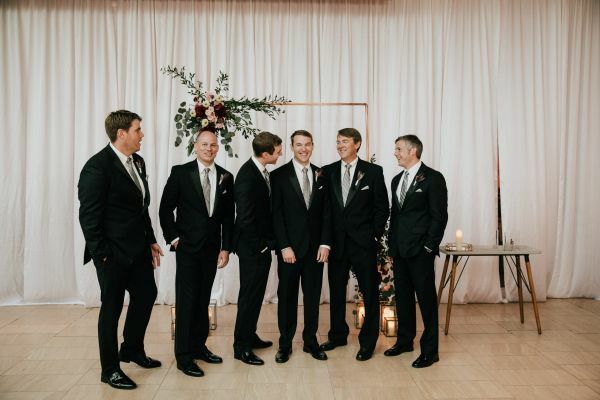 Katie Hall's matron of honor had been telling Scott Baker about her for a while until he finally met her for himself at her matron of honor's bachelorette party, where he showed up with one of his friends. "I knew he was the one," Katie says, and the couple soon became inseparable. When Scott and Katie were visiting the idyllic Ocean Isle, NC for their annual vacation, the couple went out for dinner and then drove to the secluded Bird Island to watch the sunset. Walking on the beach with Scott, Katie turned to make her way back down a sand dune and found Scott down on one knee. "It was perfect!" Katie says. For their special day, the couple really wanted to have a creative, one-of-a-kind ceremony. Katie, who says that she appreciates clean lines and artsy details, found that the Taubman Museum of Art in Roanoke was the perfect venue. 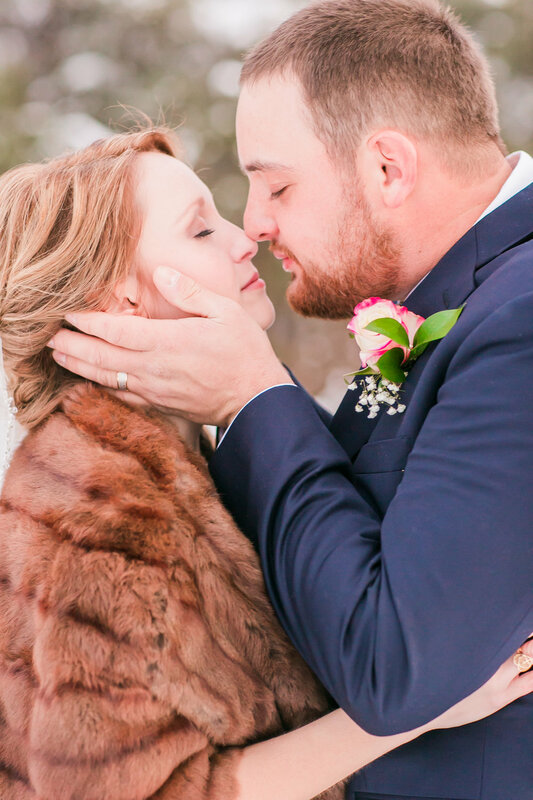 To help create their dream wedding, Katie opted for a striped dress that made a bold statement, as well as a bouquet of king proteas that was as heavy as it was stunning, leaving Katie's arms sore the next day! Katie and Scott felt that the most important thing for their wedding was that the guests have fun, and so they incorporated elements such as a dance-friendly DJ, glowsticks for a fun and unique exit and little bags of pretzels that each guest took home that read, "Thanks for helping us tie the knot!" The couple was excited to have a wedding that was different than other weddings that they'd been to. "We wanted to give our guests a fun experience that they'd never forget," Katie says. From the modern and creative venue to the dancing and glowsticks of the reception, Katie and Scott created the perfect event to start their lives together with their friends and family partaking in the festivities. "I feel so lucky to have such great people in our lives and that they took the time to come celebrate our big day!" Katie says. Make sure to see more of the Baker wedding on page 32 of bridebook!